Steel companies increased prices by nearly Rs 1,700 per tonne on Friday and another Rs 1,500-2,000 increase is on the cards. This comes against the backdrop of an increase in steel demand and a hike in iron ore prices. The price is now around Rs 44,000 per tonne, according to industry sources. The price of hot rolled coil was Rs 46,000 per tonne in September. This was increased by Rs 800 a tonne in October, they added. Between November 2018 and January 2019, the prices dropped by nearly Rs 7,300 a tonne. During the same period, iron ore prices also fell. In February, the prices of steel increased by Rs 1,750 and by around Rs 1,700 on Friday, apart from other hikes. Prices will increase further by around Rs 1,500-2000 a tonne as industry sees a hike in the price of iron ore, said a senior official from a steel company. Tata Steel and JSW Steel declined to comment, while SAIL officials could not be reached. 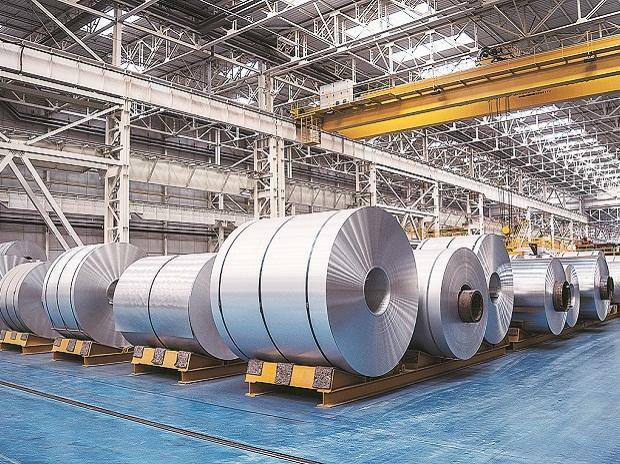 Tata Steel, Sajjan Jindal-led JSW Steel, state-owned Steel Authority of India (SAIL), Naveen Jindal-led Jindal Steel & Power and Rashtriya Ispat Nigam Limited are among top steel producers in the country. The consumption of finished steel in India grew 7.9 per cent during April-December 2018 as against 7.5 per cent in the corresponding period a year ago, according to CARE Ratings report. Moody's expects India's steel consumption to grow at 5.5-6 per cent annually over the next one-two years, supported by the country's strong domestic demand, in turn propelled by the government of India's spending on infrastructure projects and good prospects in the automotive industry. For financial year 2918-19 (FY19), the revised capital expenditure by the Union government was higher by 20.3 per cent to Rs 3.2 trillion y-o-y; while it has allocated Rs 3.4 trillion towards capital expenditure for FY20. "At the same time, consolidation in India's steel sector and limited new capacity commissioning over the 18-24 months will keep industry utilisation levels in check and help pricing discipline," said Moody's report. The report added global iron ore prices rose to $90 a tonne from $69 per tonne in December 2018 due to issues in Brazil. China imports 1.06 billion of iron ore, of which 20-25 per cent imported from Brazil. The disruption led to Rs 600-700 increase in domestic market. The agency foresee domestic iron ore prices rising 3-4 per cent during CY2019, which will lead to another price hike by the steel makers. On the other side, demand is also expected to grow which augurs well for the companies.